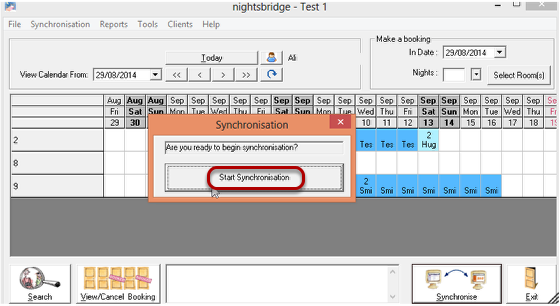 If you are a Nightsbridge client, you will be pleased to know that we provide seamless synchronisation of your Nightsbridge availability calendar with your SafariNow calendar, meaning SafariNow customers will always see up-to-date rates and availability for your establishment and you won’t receive enquiries or bookings from SafariNow for periods that you are not available or fully booked. It also means that you can receive instant bookings via Nightsbridge, and you no longer need to quote on enquiries, or accept bookings manually. 1. Log into your Nightsbridge account, then click on the Links tab, and choose Links Manager. 2. 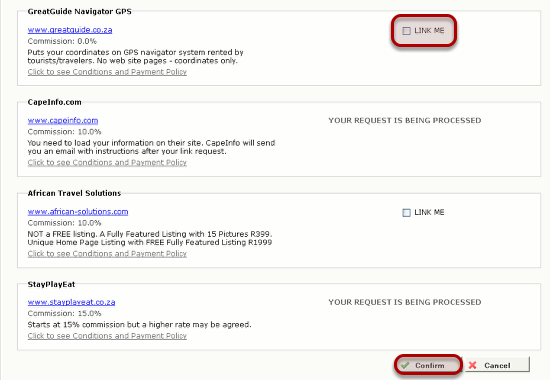 To link with SafariNow, check the LINK ME box on the right side of the SafariNow.com box, and then click the ‘Confirm’ button. You will receive a message stating that ‘Your request is being processed’, and an automated email will be sent to our Establishment Support Team to link your account. If you haven’t received any information back from us after about a week, please contact us directly at establishments@safarinow.com. 3. Once you are linked to SafariNow, in order to keep your rate and availability information up to date on our site, you will need to synchronise your Nightsbridge account. Every time you receive, edit or cancel a booking, enter it into your Nightsbridge Calendar, click the ‘Synchronise’ button and the booking will be sent to Nightsbridge, and it will automatically be updated on your SafariNow account. This ensures that you don’t receive double bookings! 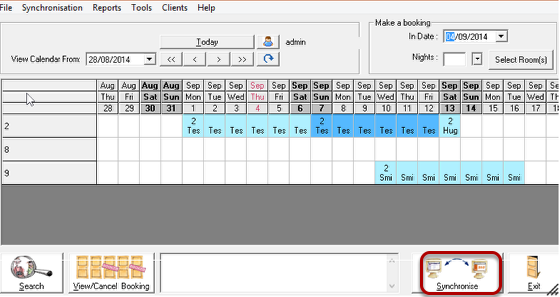 To make doubly sure that your SafariNow and Nightsbridge calendars are synchronised, you can click the blue Synchronise bookings button on your SafariNow calendar. How often should you synchronise? Every time you add, cancel or edit a booking, or once a week if you don’t have any specific updates to make. If this sounds complicated, please email us at establishments@safarinow.com and we will happily assist you.